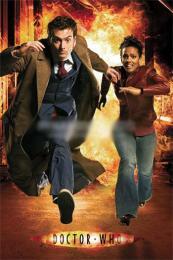 When the hospital she works at is transported to the moon, medical student Martha Jones joins forces with The Doctor to hunt down an alien fugitive before the oxygen runs out. The Doctor takes Martha to London in 1599, where William Shakespeare's new play is being used by three witches in an evil plan. 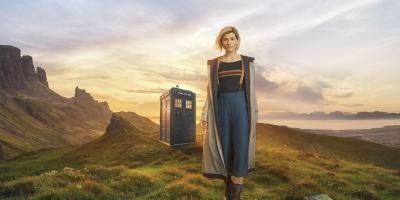 The Doctor takes Martha to New Earth, where she is kidnapped by two carjackers and taken to an underground Motorway, where the remainder of humanity on the planet live in perpetual gridlock. The Doctor and Martha travel to New York in 1930, where people have been mysteriously vanishing from the streets, and an old enemy resurfaces. Concluding part to Daleks in Manhattan. In 1930s New York, the Daleks' plan is in full force. Faced with the cyborgs' most evil and dangerous scheme yet, will the Doctor and Martha be able to defeat their greatest opponents? The famous Dr Lazarus has appeared to discover the secret of eternal youth - but do his experiments hide a sinister secret? The Doctor, Martha and Jack return to the 21st Century eighteen months after the Doctor and Martha left. They find they've missed the election, and the new Prime Minister, Harold Saxon, is someone they've met before by another name. It's been a year since The Master unleashed the mysterious Toclafane onto Earth. With the human race and The Doctor enslaved under The Master's control, Martha Jones is the only person that can help stop the evil Time Lord.